The Great Recession is over. Yet the Coalition for the Homeless says the average number of people sleeping each night in the city's shelter system reached an all-time high last year of 53,615 -- including 22,712 children. That terrible number stands as a rebuke to a town that prides itself on its climate of prosperity, on its relentless spirit of opportunity and on essential humanitarian values. 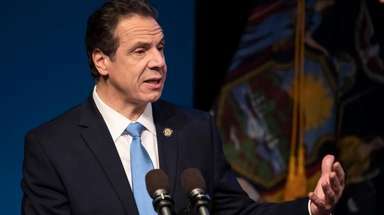 And it also stands as a fierce challenge to Mayor Bill de Blasio, who never hesitated to excoriate his predecessor, Michael Bloomberg, for letting the census of homeless New Yorkers, especially families, rise so far so fast. So how will de Blasio succeed where Bloomberg abjectly failed? He has already reversed one egregious Bloomberg policy. Jam-packed shelters no longer try to turn away families when they think that other options -- say, with friends or relatives -- are available. The city's Department of Homeless Services is also working hard to find job referrals for parents. Another idea is to place working-poor families in New York City Housing Authority apartments or to help them find assistance for rental housing. But there's a problem with those two options. NYCHA had a waiting list of more than 167,000 for its public housing in 2013. And the waiting list for Section 8 rental assistance last year topped 123,000. Giving high-need families priority over long-suffering people who have waited forever for a place to call their own seems less than fair. It could cause problems. The de Blasio administration has correctly been trying to move families with children out of shelters -- especially facilities that lack private bathrooms, which can pose a safety danger for some children. But for de Blasio and advocates like the Coalition for the Homeless, one overriding truth is unavoidable. The real problem was never Bloomberg. It was the ill-advised disappearance of federal and state housing money during the recession. It's still missing -- and they need to get it back.